XCubed brings you this beautiful example of modern and old school design. The slim profile creates an old school design while the open mouthed gap provides a smooth landing for string. The side view speaks volumes with its speaker shaped halves and concaved sides. 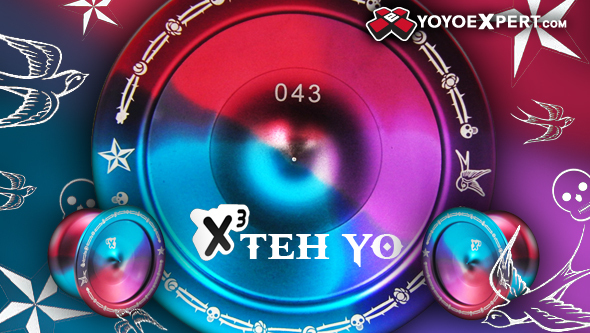 TEH YO also has incredible features that set it apart from the competition. The cut in lip on the sides provide a smooth thumb grind spot and the amazingly sharp points allow the thrower to grab ahold of the yo-yo creating a gyroscopic and top like feel. These unique aspects make this yo-yo a trick innovators best friend. The TEH YO comes in four insane and mesmerizing color ways. These color ways produce retro like patterns spinning and are sure to catch the eye off guard!